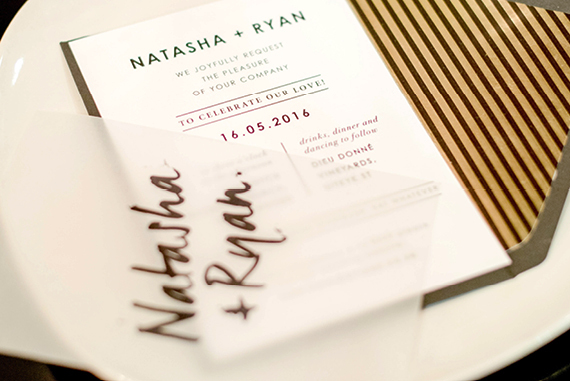 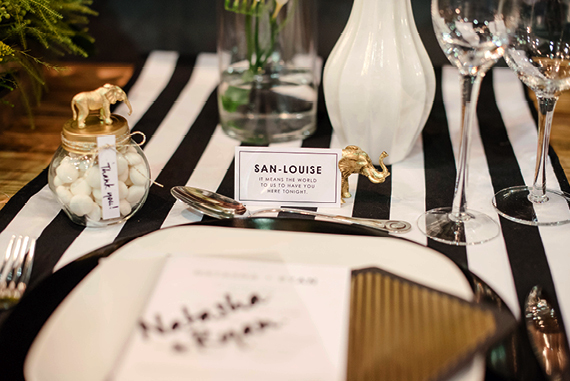 For this stationery suite we wanted to show how timeless elegance collides with a modern edge. 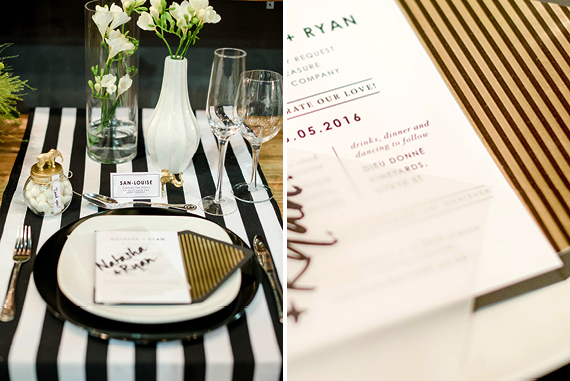 We opted for a simple colour palette: black, white & gold. 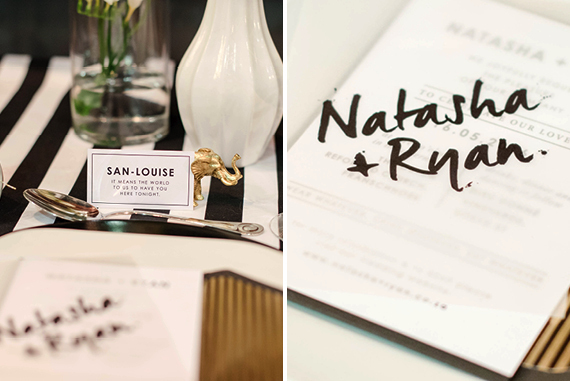 Minimalist fonts combined with a calligraphic brush font gave it that modern twist.